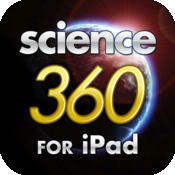 In this section, we will learn how to enhance your science curriculum with the iPad. In the previous section, we explored some useful mathematics apps to incorporate into your classroom. Join us as we take a similar approach to enhance your science classroom. We will now take a look at some exceptional apps for the science classroom. 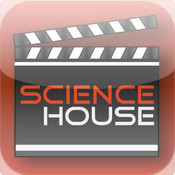 Please take a look at some of the amazing apps available for the Science classroom. The paid apps are listed first while the free ones are listed second. Both options provide an effective way to create a meaningful lesson. The Human Body ($3.99) is an incredible app that is a working model of the body. Each part is interactive and it is made for children to discover everything they have ever wanted to know about our body and how it works. Pocket Universe ($3.49) is a must have for any space unit. It is an easy-to-use app that helps the student learn the names of constellations, stars, planets and more. You can point the iPad to the sky and the app will display a vast amount of information! Frog Dissection ($4.59) allows students to experience a frog dissection without getting their hands dirty! The app also includes interactive content and quizzes so students can learn everything they need to know about frogs and their life cycle. Bobo Explores Light ($5.79) is an exploration of light through an interactive e-book. Students can learn about topics such as lasers, reflections, photosynthesis and the human eye. 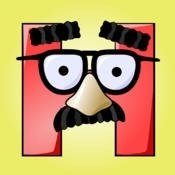 Agent Higgs ($1.99) will help students learn about physics in a fun and interactive way. In the game, students are the Higgs Boson, a secret agent, who must overcome a series of puzzles to move forward. Science360 (Free) is an app developed by the National Science Foundation that provides engaging science images and videos from around the world. Students will be well informed with breaking stories in scientific discovery. VideoScience (Free) is a library of hands-on science lessons that are extremely useful for the classroom. Students can follow work through an experiment at their own pace on their iPads. Classify It! (Free) tests students' knowledge on how various organisms can be sorted and grouped. Students can play through three levels of difficulty and gain knowledge of plants and animals. 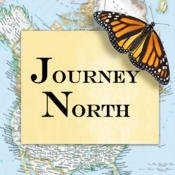 Journey North (Free) is an interactive app that helps students track migrations and seasons. Users can also share their observations with students across North America. The app connects to the Journey North website where students can learn even more about migration. Gravity Launch (Free) takes you on a journey to discover how gravity affects objects. Students try to get a spaceship to its destination and will learn the important role gravity plays in space exploration! demonstrate an understanding of components of the systems of which the earth is a part and explain the phenomena that result from the movement of different bodies in space. At the end of a unit, have students perform an experiment on a hypothesis. They will use the information from the unit as well as videos on their iPad to form a testable hypothesis. Students will record the different stages of their experiment and use one of the presentation apps (located in the next section) to display their results to the class. Here is a sample rubric to use.